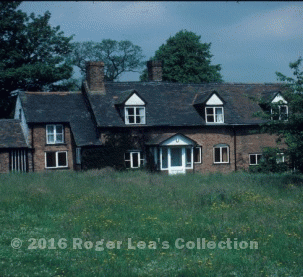 There were over 100 cottages in Sutton in the eighteenth century, most of them being home to farm workers, but there were also a number of craftsmen living in there. Weaving was a traditional cottage industry before the Industrial Revolution, and there was a weaver living in a cottage in a remote part of Sutton called Swarfs Dale. A cottage is mentioned at Swarfs Dale in the Corporation Rental of 1742, and by 1811 there were two semi-detached cottages there. They are shown on a plan in the 1811 survey, on the eastern border of Sutton near Colletts Brook, and just north of Withy Hill Road. Swarfs Dale was separated from the rest of Sutton by the extensive commons of Lindridge and Withy Hill. In 1811 William Taylor, a farm labourer, lived in the left-hand cottage in the picture in; the nearby stretch of Withy Hill Road was called Taylors Lane. George Orton was the tenant of the other half of the cottage, described in 1811 as “house, weavers shop, cow-house and garden”. George Orton had only recently moved in, as the rental shows that William Harrison was living there in 1809. 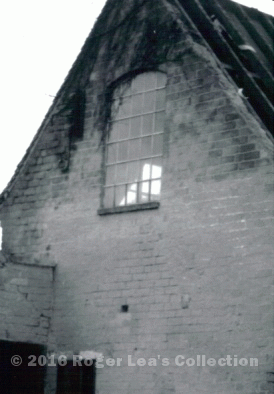 William Harrison was probably the last weaver to live at Swarfs Dale - he may have installed the “weaver’s window” in the south gable - George Orton was probably a farm worker; by 1841 the tenant was William Day, an agricultural labourer who lived there with his wife and three sons, and the weaving trade had been abandoned. Swarfs Dale with its few tiny fields had been settled by squatters in the sixteenth century, and the tenants paid their rent to Sutton corporation, but in the 1830s the land was exchanged, and the new landlord was Mr. Hackett of Moor Hall. Documents of the 1850s refer to the area as Swash Vale, but the name soon changed to High Heath Farm Cottage as the former commons at High Heath were converted to farmland as part of Mr. Hackett’s estate. The twentieth century saw a transformation in farming, and Taylor’s Lane lost its muddy ford when Colletts Brook was culverted beneath the road, but the cottage retained its rural charm. Then in the 1980s it was renovated for modern living, its rural charm was lost with the construction M6Toll only a short distance away, and narrow twisty Taylors Lane was bypassed by a new road leading to the bridge over the motorway.